People have been fixing services - and then trying to prevent them from breaking again - since the dawn of time. Traditional IT support methods rely on formal communication and manual processes maintained and dispensed by a select few individuals. But this method has many inherent flaws. New technologies are emerging to address these issues and change the support landscape. Social IT is shifting power from individual contributors to the whole community. Tasks that once demanded specialized, highly skilled resources are being executed with the zero-touch approach of runbook automation. 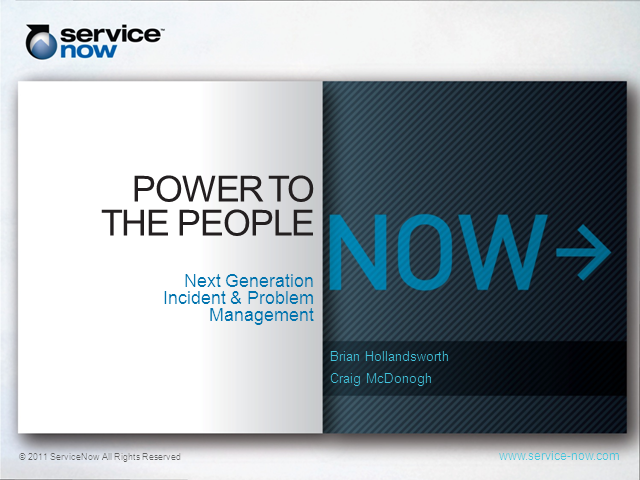 Please join us as we share new approaches to Incident and Problem Management that will increase your service availability and improve operational efficiency.